St. Lawrence University supports a variety of off-campus programs on six continents that allow students to enrich their majors, expand their world, gain cross-cultural skills and prepare to be responsible global citizens. 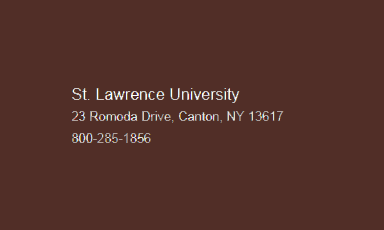 More than 50% of St. Lawrence students spend a semester or longer studying off campus. In addition to semester and year-long programs, we offer summer programs, international course travel components, and research grant opportunities. We invite you to stop by our office in Carnegie Hall 108.